Associate Professor Tanya Tiffany gave a talk at the Kimbell Art Museum in Fort Worth, Texas on Friday, July 24, 2015. 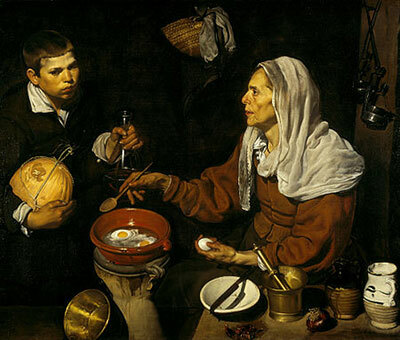 Taking Diego Velázquez’s Old Woman Cooking Eggs (National Galleries of Scotland) as its point of departure, this talk explores early reactions to the young artist’s scenes of daily life, known as bodegones. Although seventeenth-century connoisseurs often argued that such lowly themes were unworthy of serious regard, Velázquez became famous for painting bodegones with a “true imitation of nature” unprecedented in Spanish art. Did contemporaries perceive the bodegones as no more than slices of reality? What was the place of these secular images in Spain’s religious culture? More broadly, how do the style and the inventiveness of the bodegones relate to the masterpieces of Velázquez’s later career?